Established over 40 years ago, Brand Engineering, together with its two Empowerment Companies, Besamandla (Western Cape) and Besamandla (Eastern Cape), is a leading electrical contractor in Southern Africa and throughout the African continent. Its venture into the renewable energy sector forms part of the Department of Energy's Renewable Energy Independent Power Producers Programme (REIPPP). "Renewable energy is required to address climate change, and shift the country's energy supply from its mainstay, coal, to clean, green sources. This contributes to gas emission reductions and assists in decreasing the country's carbon footprint," says Herman Kriel, Group Managing Director, Brand Engineering SA (Pty) Ltd. It is in the second round that the company was also appointed to carry out three EPC wind power projects in the Eastern Cape. Another initiative that the company is undertaking to further strengthen its role in the transition to the renewable energy industry in South Africa is that of solar roof top development. "As is the case with renewable energy IPP projects, this leading edge roof top initiative can contribute dramatically to energy savings and green energy generation in South Africa," Kriel explains. The concept is the same as that of the PV solar energy projects, but the panels will be located on roof tops in highly populated commercial locations. Brand Engineering has completed the first solar roof top at Black River Park in Observatory in Cape Town, which is expected to be the biggest roof top development in Southern Africa, and is in the process of concluding contracts for various other rooftop developments. 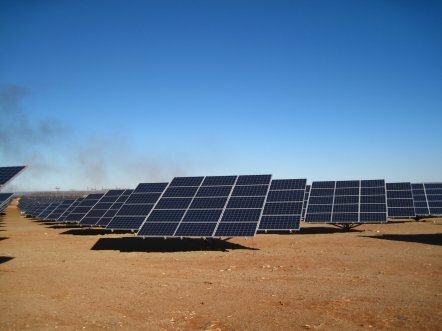 The company is totally committed to renewable energy in South Africa. It is proud to have diversified and expanded, and to be able to contribute significantly to the wide variety of renewable energy initiatives helping to ensure a bright new sustainable energy future.